More than ever, we are shopping with a scroll and a click online instead of in our local brick-and-mortar stores. Lucrative same-day shipping deals and the convenience of shopping from home have propelled the growth of e-commerce: up nearly 25 percent last year, according to an analysis by Slice Intelligence. But our online cravings have cardboard consequences. From boots to bananas, meal kits to makeup, we receive so many packages it's actually changing the very color of material collected at our recycling facilities. "It used to be grayish, like the color of newspapers and magazines. And now it's more brown or cardboard in color, from all these boxes," said spokesman Robert Reed from San Francisco's recycling hauler, Recology. "People are ordering a lot more things online, and they arrive in small- and medium-sized cardboard boxes, and so you can see it right here," Reed told NBC's Jo Ling Kent, standing beside the plant's massive pile of cardboard, hard plastics, paper, and bottles. 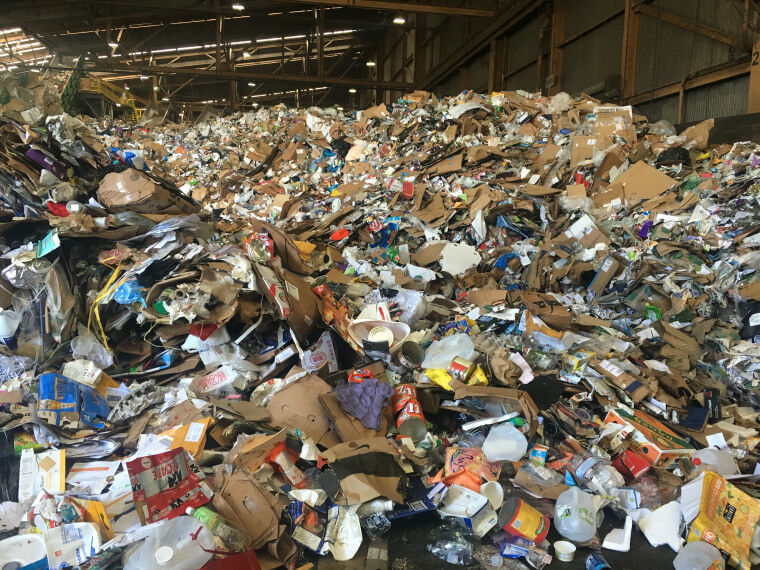 Every day, Recology collects approximately 625 tons of recyclables, including more than 100 tons of cardboard at their "Recycle Central" plant on San Francisco's Pier 96. And instead of that cardboard coming from retail and grocery stores, increasingly the boom of brown boxes comes from apartment buildings and homes. "It's a pretty significant change. We see these changes pretty regularly in the recycling stream. But this is a big one," said Reed. While the amount of cardboard they receive is similar to previous years, there are far more of them and they're smaller in size. Many in the recycling business say that as consumers receive more products directly, they recycle less and throw away more — in part because of confusion over what is recyclable. According to a report from Moore Recycling Associates, in 2015, consumers recycled less than 7 percent of all plastic films and wraps. And, in 2013, the average recycling rate of all packaging (excluding compost) was less than 25 percent, according to Resource Recycling Systems. 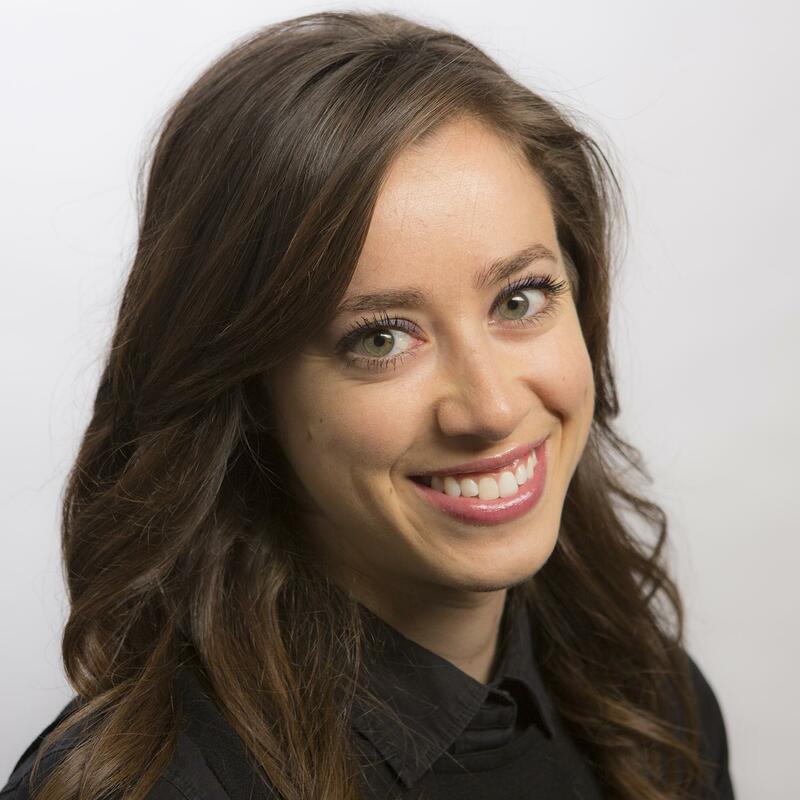 "We're very concerned that right now maybe this shift in disposal rates is due in part to the fact that people are going for convenience and having things mailed directly to them instead of going to stores," said Heidi Sanborn of the California Product Stewardship Council. Sanborn is calling on the companies shipping these packages as well as the consumer to help make a change. "We'd ask that the companies who are mail-order companies work on reducing their packaging waste," said Sanborn in an interview. "But we're also asking the consumers to be thoughtful and to tell companies, 'Hey, I don't want all this waste. I want to buy products that are in reduced packaging, or reusable packaging.'" With the growing popularity of on-demand delivery and meal kit services like Blue Apron and HelloFresh, non-recyclable packaging is making its way to the recycling center. "We're seeing an increase in waste generation and we're seeing more products coming on to the market that we can't do anything with. For example, those ice packs that are in those mail kits," said Sanborn. While Blue Apron maintains on their website that their "box, liners, ice packs and more" are recyclable, many recycling authorities dispute this. The plastic liners that accompany many individual food items in Blue Apron deliveries cannot be returned in many curbside pickup programs, nor can the ice packs or the foil lining of the box. Blue Apron declined to comment for this story, citing their quiet period before their initial public offering. Blue Apron subscriber Jessica Gelin of Oakland, California, loves the convenience of Blue Apron and lauds the quality of their food. "I enjoy Blue Apron, I think it's great," she said with a laugh. "I think it's getting better all the time. And as it grows in popularity, I think smart people, who like to use it, will demand a little bit better environmental packaging. And I believe it exists out there. It's just expensive," said Gelin, suggesting compostable bags instead of plastic ones. "My biggest problem with Blue Apron is the ice packs," said Gelin, who tries to ship the packs back to Blue Apron as their website recommends, but worries what's in them. The maker of the "Nordic Ice" packs confirmed to NBC News that the contents of the packs are not recyclable and that the plastic can only be recycled where low-density plastic is accepted – often not curbside. Recology is asking its customers for help processing all these new sources of waste, and to do their homework about what can really be tossed in their recycling bins. And, Reed is pleading with customers to break down their cardboard boxes before putting them out for collection to save space in bins and collection trucks. It's not just San Francisco noticing a change. In Austin, Texas, the city has already received 30 percent more corrugated cardboard than this time last year. "We've had to do some modificiations to the plant here, so we can recycle these cardboard boxes," said Reed, referring to new machinery that can sort cardboard from other material the plant receives. "Now we have machines that'll sort them." The new machines are one reason why Recology is seeking a collection rate increase in San Francisco to the tune of about 14 percent. Back at Recology's recycling plant, the cardboard consequences of our online shopping are all around — with the familiar logos of online retailers peeking out from compacted cubes. The Amazon Prime logo, with its smiling arrow, made repeat appearances. And it's no wonder: More than 40 percent of all online retails sales in the U.S. went through Amazon last year, according to Slice Intelligence. Reed says all this "trash of convenience" shows a cultural shift to instantly gratifying online purchases instead of buying in person at local stores. "We need to think about the environment in all things we do. You know, the earth is our home and we need to protect that, and it is a very precious resource," said Reed. "We want to recycle everything we can."